To kick off the summer, 11 students traveled to the Czech Republic. The diverse group ranged from graduate to undergraduate level with academic majors from feed science to agricultural economics, the majority being agricultural education majors. This 12-day intensive study abroad trip was led by Gaea (Wimmer) Hock ’03, ’06, associate professor. 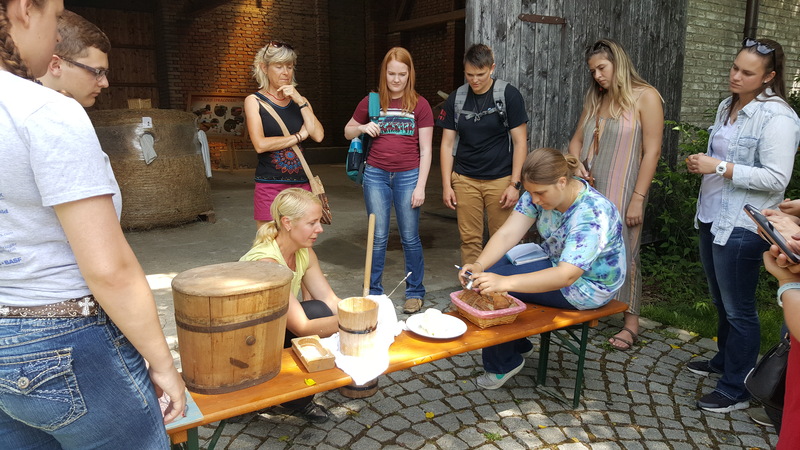 During their time abroad, students were introduced to agricultural production management and processing practices and cultural aspects of the country. 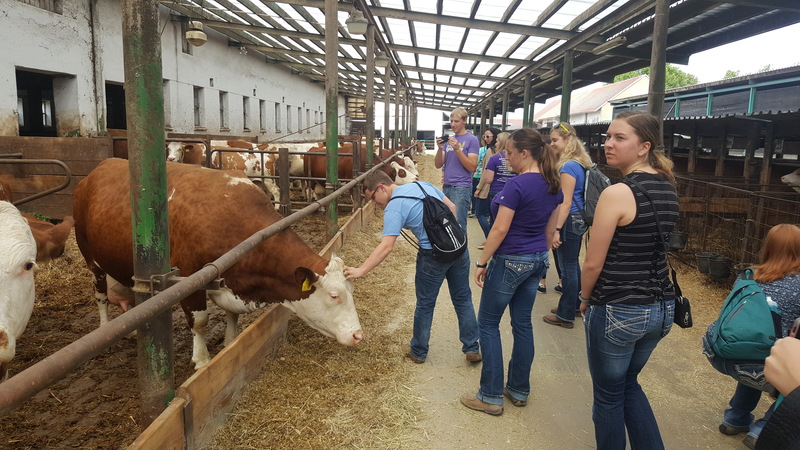 Students visited a crop research facility, private vegetable farms, a vineyard, dairy and beef cattle operations, hop farms and a brewery, university and vocational schools, and governmental agencies. Throughout the spring semester, attendees prepared for this trip through weekly meetings to get acquainted with Czech history, culture, and agriculture. In addition, the group was also able to meet and converse with Czech students studying abroad at K-State about their upcoming trip. For more details about their stops while abroad and to see more about their adventures, “Czech” out their blog link at experienceagricultureabroad.wordpress.com. Instructor Audrey King pursues Ph.D.
What a great adventure for the students, thanks Dr. Hock for your willingness to go beyond what is expected of you and the commitment you are making to Kansas Ag Education.